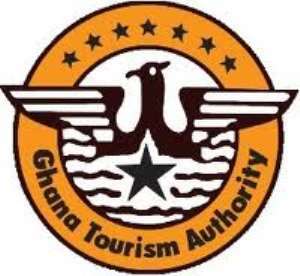 The Northern Region Office of the Ghana Tourism Authority (GTA) in collaboration with the Ghana Hotels Association (GHA) has donated various items to a special school and an orphanage in the region to mark this year's National Chocolate Day celebration. The beneficiaries were Yumba Special School in Tamale and the Nazareth Home for God's Children, an orphanage at Sang in the Mion District. Yumba Special School received 10 cartons of African fan drinks, four packs of biscuits, two packs of soap, four boxes of chocolate, two packs of toilet roles, a bucket of powdered soap amongst others. Nazareth Home for God's Children also received two bags of rice, 14 bars of key soap, eight cartons of African fan drinks, two packs of toilet roles, one bucket of omo, eight boxes of chocolate and some used clothing. Mr Jonathan Twum-Osae, a staff at the Northern Region Office of the GTA, who led a team to present the items to both beneficiaries, said the move was to show love to the less privileged in society as the country marked the National Chocolate Day, held on February 14, every year. Mr Gilbert Dery, Secretary to the Ghana Hotels Association, expressed delight for being part of a presentation to the less privileged and gave the assurance that more sponsorship would be sought from its members for the needy children. Reverend Sister Stan Terese Mario Mumuni, Servant of Nazareth Home for God's Children thanked both institutions for the donation saying it would go a long to put smiles on the faces of the children at the facility.